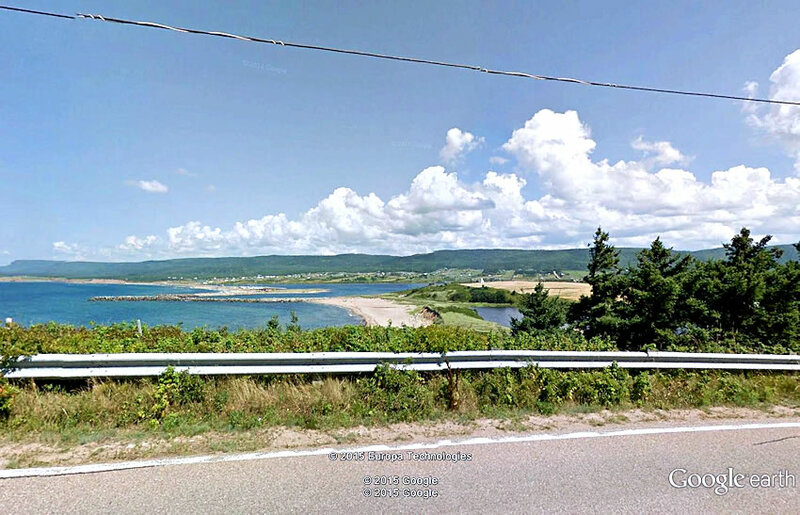 High above the Margaree River, at the end of a lengthy woodsy drive, is this sizable and solid home commanding one of the finest river views in Cape Breton. 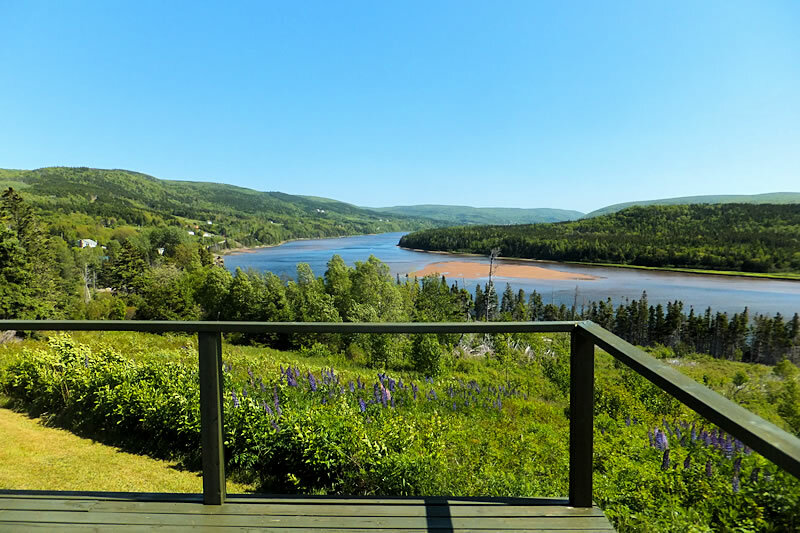 Located about twenty minutes from Inverness and almost the same from Cheticamp, this four bedroom sweeping building has a full 60 feet of 10 foot deep deck that overlooks the river 111 feet below with an unparalleled vista of the wide and powerful river up-stream. The residence is unusually substantial, very comfortable and suitable for year-round living. The living/dining room and master bedroom all have large windows that make the most of the spectacular views of the Margaree River and Valley. The kitchen is well appointed and spacious with open concept dining. Above the attached 13 x 23 ft. garage is a fourth bedroom that could comfortably accommodate up to three beds for visiting fishermen, relatives or friends. With 15 mostly wooded acres, additional building sites could be cleared to provide a Fishing Club with a totally private retreat and some of the best salmon fly fishing in North America. Besides fly fishing (includes brown trout and striped bass as well as salmon) at the doorstep, world class golf courses, Celtic music venues, white sand beaches and more are all close by and easily accessible. While the area attractions have great appeal when you want to take advantage of them, this thoroughly private and permanently quiet haven is just the place to be when it's time to relax and take it easy. 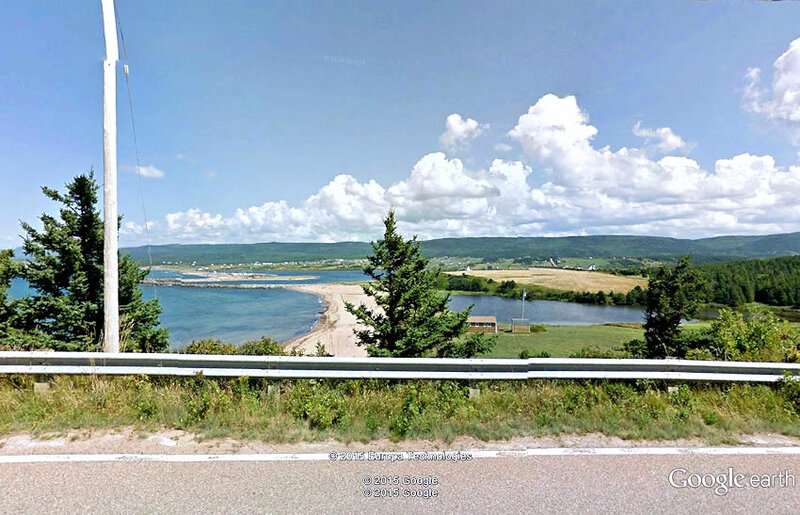 The beaches of Margaree are exceptional. They are easy to find and close together, all found on a nine-kilometre stretch of coastline. The water on the Gulf, or, 'sunset side' of the island is warmer than the Atlantic side of Cape Breton, making these prime Cape Breton beaches for swimming. 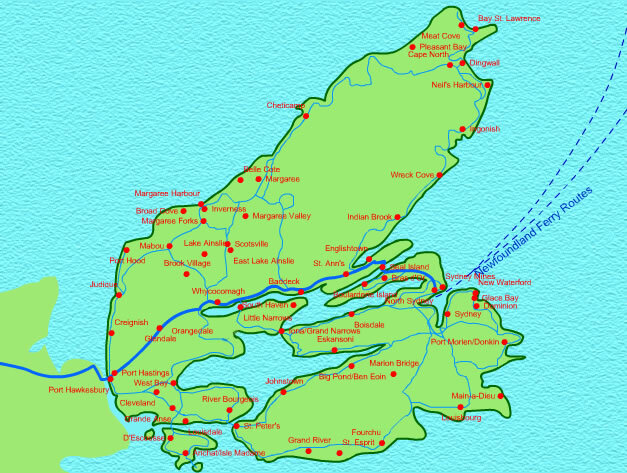 Cheticamp (13 miles north on Rte. 19) is a charming Acadian town with an excellent Co-Op grocery store, French baked goods, a number of good restaurants, the Le Portage Golf course, public wharves, local fishing fleet, sport fishing opportunities and much more. The town of Inverness is approximately 18 miles South on Rte. 19 and offers grocery shopping, pharmacy, restaurants, a superior public beach plus the new world class Links Golf courses. 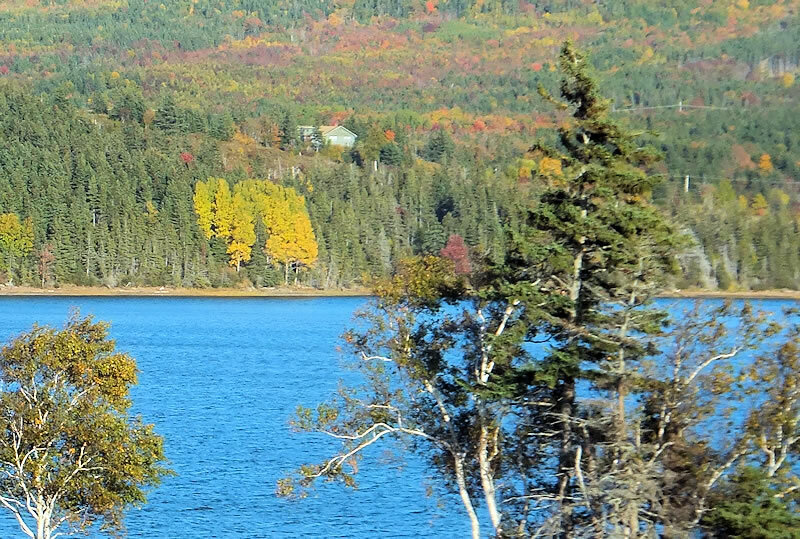 Other smaller communities in close proximity to Belle Cote include: Margaree Harbour, Margaree Forks, S. W. Margaree, N.E. 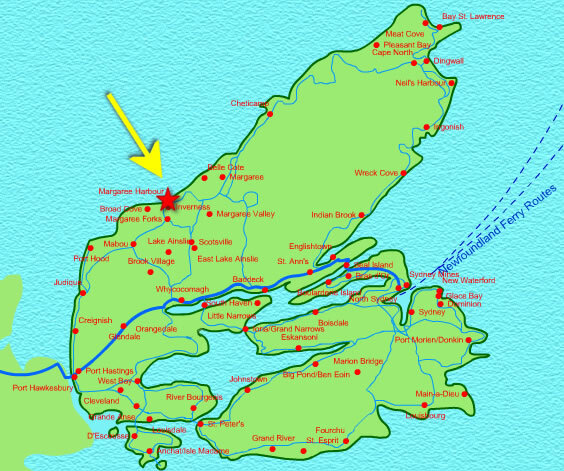 Margaree, Margaree Valley, Margaree, Chimney Corner, Saint Rose, Portree, Dunvegan, Cap Le Moine, St. Joseph du Moine, and Grand Etang. Very well written, comprehensive description of the museum. This organization is dedicated to preserving and improving salmon fishing on the Margaree River. They have useful resources on this web site including the ability to purchase their Pool Map (currently being updated) and a 96-photo DVD. If you appreciate Celtic music or other authentic cultural events, and the chance to take in our stunning coastline and superb crafters, look no further; if you like the notion of unwinding on almost-deserted beaches, enjoying fresh lobster, or fly fishing for salmon or trout on a glorious river, then come visit the Margaree River Valley, on Cape Breton Island's spectacular Cabot Trail. The Margaree calls out to fishermen and hikers to explore its secrets - Photos, Maps, Fact Sheet, River Stories and State of the Rivers. Come off bridge heading North on Margaree Harbour take East Margaree Road to look for Cormier Road heading right down the hill. Sign for Cormier Road South.. Showing by appointment only - please contact Tom @ 866-325-1001 or 902-756-3073. All contents with the exception of some personal items like clothing are included. Full inclusion/exclusion list provided at negotiations. *Vendors have not been in residence this year so cannot attest a PDS; property has year round caretaker.